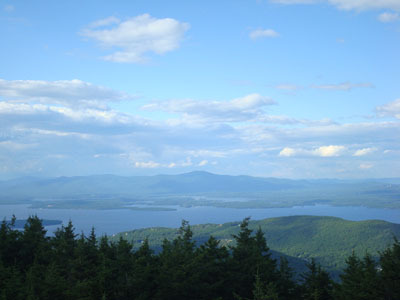 Today's hike was Belknap Mountain. 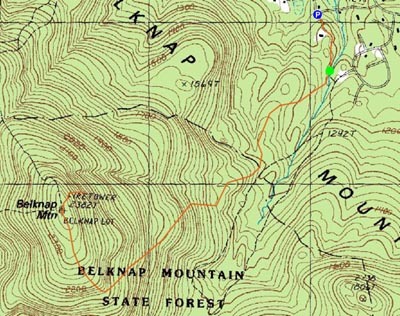 Previous times, I had hiked Belknap via the Carriage Road and via Gunstock. This time, I decided to ascend from the north side. After parking at the Bickford Road junction, we quickly headed up the dirt road, through the gravel pit-ish area, then right onto the East Gilford Trail (after a gate, before a bridge). 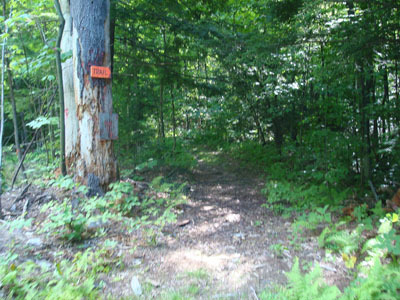 The first part of the trail was somewhat bland and flat, prior to steepening up. Awhile after becoming somewhat steep, the trail turned ledgy, bringing forth some decent views along the way. Soon, we were climbing up the shoulder and then along the flats to the empty summit. The views from the fire tower were good, though not as good as they would be if there weren't as many pieces of communications equipment blocking the vista. After taking in the views, we headed down the tower and hiked the blue blazed trail for perhaps 100 feet, taking a right off the trail onto a progressively steep herdpath down to a June 18, 1972 plane crash. 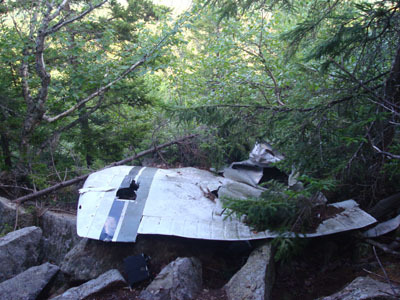 Not discovered until June 3, 1973, both people in the plane died. The site is basically a collection of tangled plane wreckage. 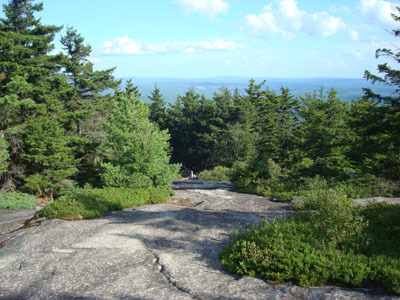 After climbing back up to the summit, we descended back down the East Gilford Trail, stopping for blueberries many times along the way. 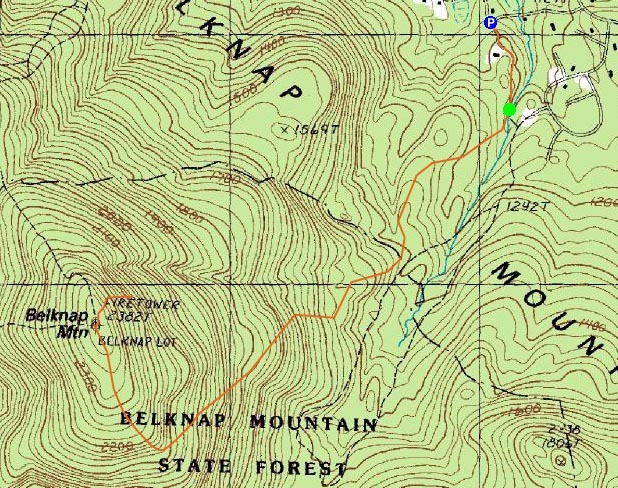 Directions to trailhead: From Alton, take Route 11 West to Route 11A West. Take a left onto Bickford Road. Park along the side of the road at the junction after the bridge, then (with your back toward the bridge), take the left branch, walk up the road, continuing straight to the left of a driveway, then across a sandy area, past a gate. The trail proper starts on the right just before a bridge.